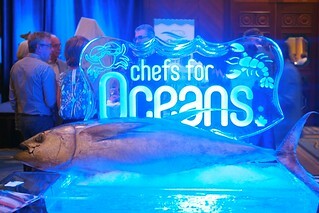 Chefs for Oceans fundraiser at the Four Seasons Hotel Vancouver downtown on September 12, 2014. 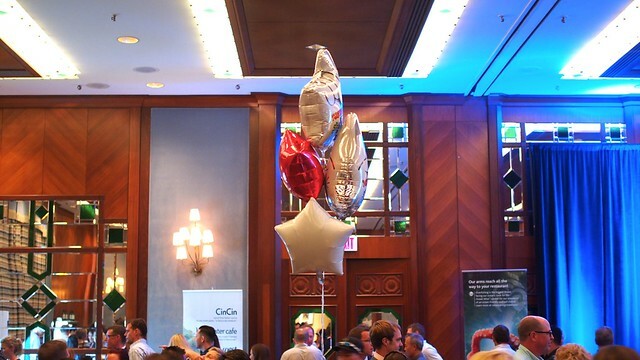 We celebrated Chef Ned Bell's successful completion of his ride across canada with a soirée at the Four Seasons Hotel. Bell returned home from his bike trip to raise awareness for sustainable seafood. The coast-to-coast journey took him 72 days and nearly 9,000 km to complete. 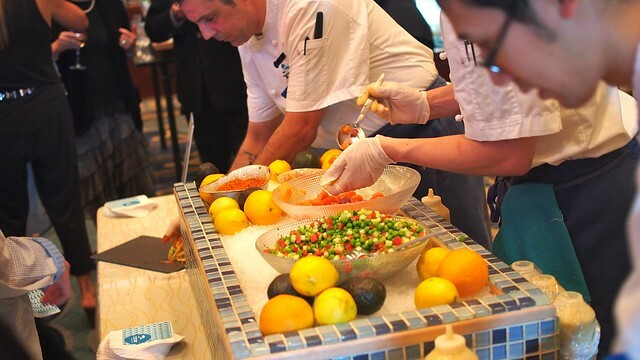 At the affair, Bell teamed with like-minded chefs across the country to host twenty sustainable seafood events. 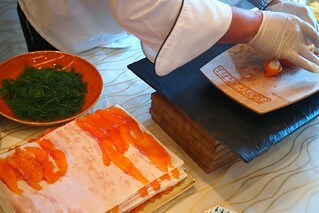 The grand finale at home partnered with the Vancouver Aquarium's Ocean Wise program for an night of seafood tastings. Kuterra blossoms (with cured Kuterra gravlax, sushi rice, mirin/sake salmon caviar, miso kewpie, and avocado) from Four Seasons Whistler and Chef Tory Martindale. 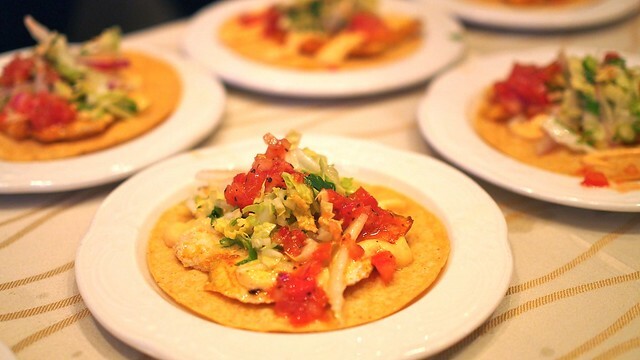 / Kuterra salmon tacos (miso maple dressing, crushing avocado, shaved rashish, and togarashi spice) and green goddess tacos (with avocado, green garbanzo beans, and lim vinaigrette) Yew Seafood + Bar and chefs Sean Amurr and Bell. 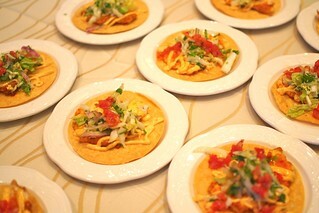 Northern Divine sturgeon tostadas from The Fish Counter and Chef Rob Clark. 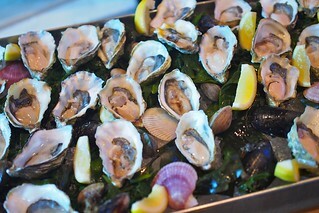 Fanny Bay oysters on the half shell from Blue Water Cafe and Chef Frank Pabst. 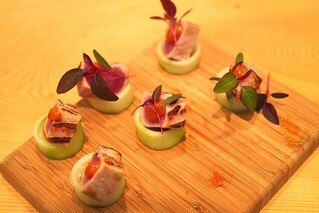 / Seared yellowfin tuna (with tomato, watercress, and cucumber) from West Restaurant and Chef Quang Dang. 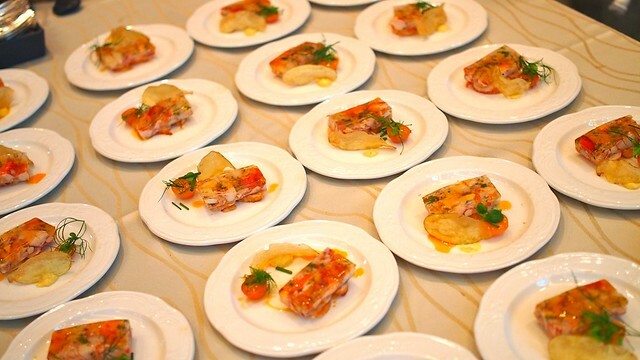 Lobster and heirloom tomato head cheese (with lobster oil and fresh herb salad) from Forage and Chef Chris Whittaker. 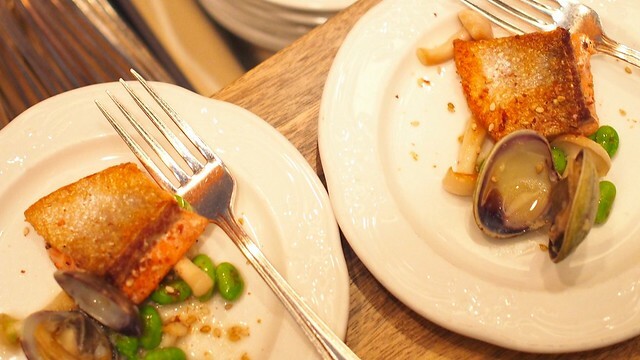 Pan-roasted sockeye salmon (with steamed, savoury clams in a white soy miso glaze) from Bon Vivant Group and Chef Dino Renaerts.